Paper goods brand Gabrielle Celine and I have just launched our stationery collaboration. The collection includes 2 x Journals & a Notepad set featuring my own foiled designs. My personal favourite is my take on the little black book, now known as my little pink book. The journals have a beautiful linen stock covers and gold edging. The notepad set includes 2 x lined notepads with gold foil cover designs. 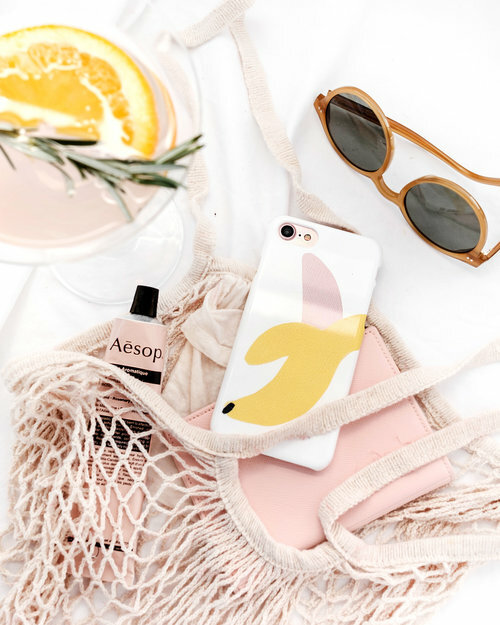 I have teamed up with The Dairy to create Phone Case Designs to dress your tech. I have designed cases to fit your needs whether you like a little irony or humour, beauty or floral on your phone. I have been rotating between the Yeah Nah case for those days when I am avoiding calling people (every other day) and the Curvature case for something a little more abstract. Available for your iPhone, Samsung, LG or Google Phones.